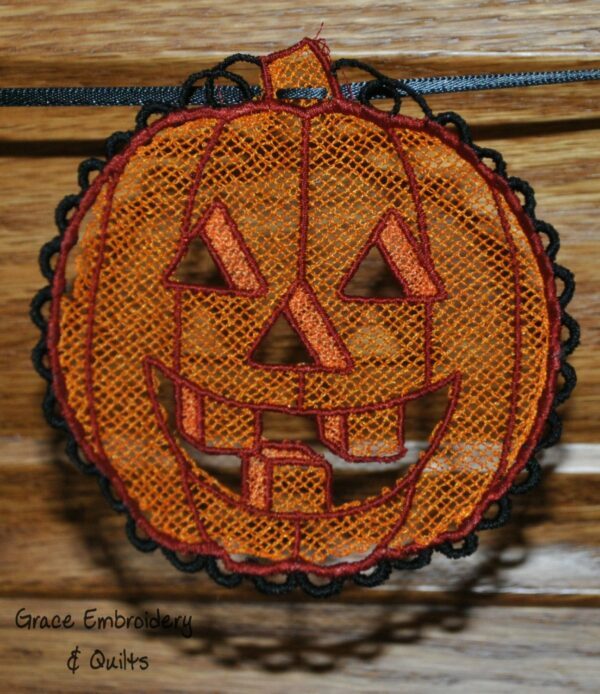 Machine embroidered lace Fall Pumpkin banner, 8 pumpkins strung on a brown ribbon, perfect for your mantle or doorway. Total Length is approximately 6′ 8″. Each pumpkin is approximately 4″ x 4″.